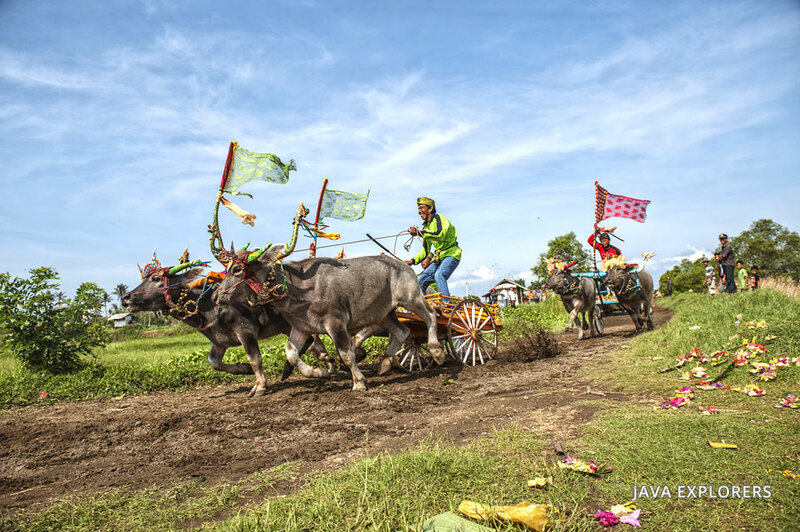 The others one of Balinese unique culture is Buffalo races or Makepung. 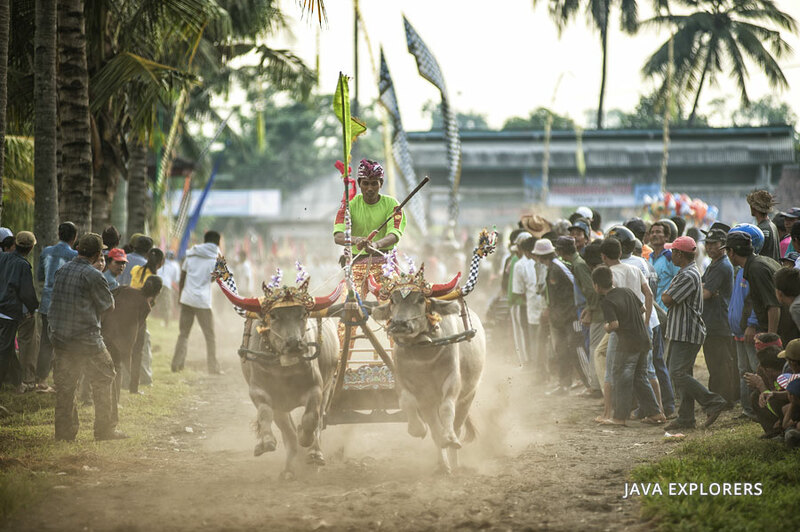 This activities famous in west of Bali ( Jembrana Regency ). 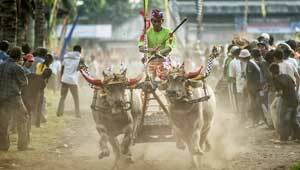 Attraction Bull Race is inspiration arises from the activity of famers in the paddy ( rice filed area ) the race grown in about 1930. Makepung divided into two regions ( blocks ) that blocks west ( green ) , a block east ( red ). Teams are dévide into two clubs, the eastern division (east of the Ijo Gading River) and the western division (west of the river). Look for the red banners of the east and the green flags of the west. The competition normaly organized by the regional government, trials are usually held in the dry season. The competation only 2 time a years named Bupati and Gubernur CUP. But before the competion, teh buffalo should be treened every Sunday. The Location are in DELOD Berawah Village east block and Kaliakah Village for west block. When the competion start, all teams are paraded before the crowd of spectators, their ornaments are stripped off and the beasts teamed with their brightly clad jockeys. 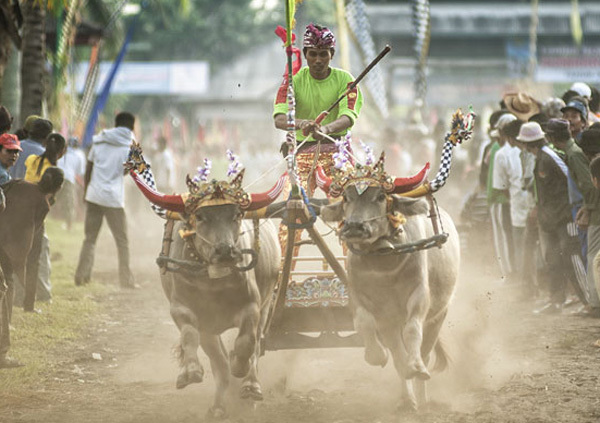 Each pair of buffalos pulls a small two-wheeled cart (a modified 'Cikar') manned by a precariously balanced jockey over a two-km-long stretch of back road converted to a racecourse. 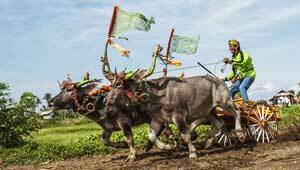 To gain speed, the jockey's twist the buffalos tails and last their backs with whips. Entrants are judged not only for speed, but are also awarded point for strength, color, and style. These heavy, awkward looking, normally docile animals can reach speed of up to 60kph. The wining buffalo are used for stud and fetch up to twice the market value when sold.